I love, love, love this pasta salad. I can’t quite put into words all the love I have for. My family thinks it’s because it’s such a crowd pleaser. I’m leaning more towards it being the ranch dressing. It’s my sauce of choice. Also, it’s the versatility. I can easily make this as a side to dinner, or add extra lettuce to make it an all-in-one meal. The recipe easily feeds our family, but is simple to double to serve a larger group. Originally, I was skeptical of the Swiss it called for. I’ve only ever included cheddar in any ranch-based pasta salads before, but my skepticism was unnecessary. The Swiss perfectly compliments the other flavors in the bunch. Simply put, it’s delicious. 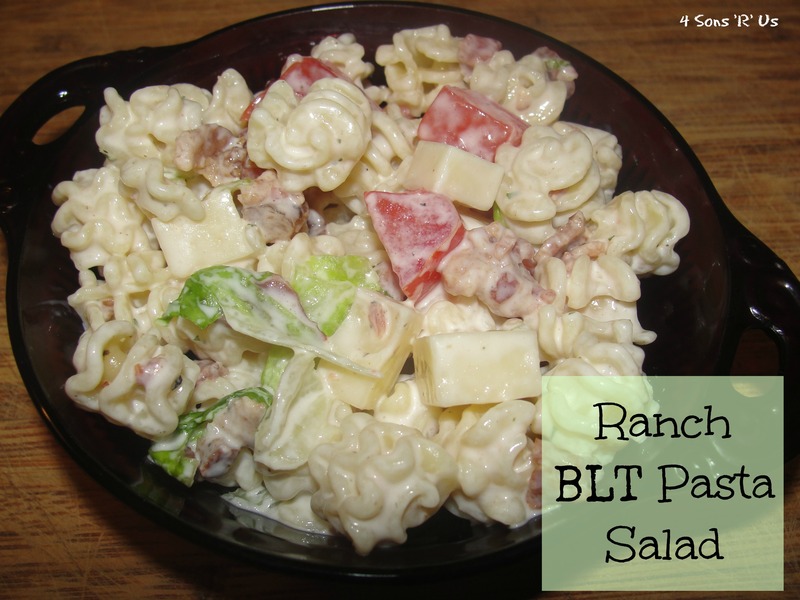 If you’re looking to branch out of your more traditional pasta salad comfort zone, looking for a dish to ‘wow’ family and/or friends, or simply trying to ditch the pre-packaged, processed box versions, this recipe is a must try. Cook the pasta, according to package directions, in salted water. Drain pasta. Toss with just enough dressing so that the pasta is lightly coated and won’t stick together. Refrigerate until cold. In a large bowl, toss the pasta with the tomatoes, Swiss, onion, bacon, and lettuce. Add enough dressing to generously coat everything, and season with salt and pepper to taste. Serve. If not serving immediately, don’t mix the lettuce in until you’re ready to serve to prevent wilting.